The time has come to rank all current Marvel Cinematic Universe films from this reviewer’s subjective ‘worst’ to ‘best.’ Each of these films and television programs is excellent entertainment in and of themselves, and this list invites comments, discussion and differing opinions (after all some fans would think otherwise). Please note that as this reviewer is yet to see Agent Carter or the third and fourth seasons of Agents of Shield, that Agent Carter has not been included in this list. And Agents of Shield is ranked according to its first two seasons. Films that have not yet been released as of yet, will be included in this list upon release and an updated version or ranking will be revealed to coincide with future films. 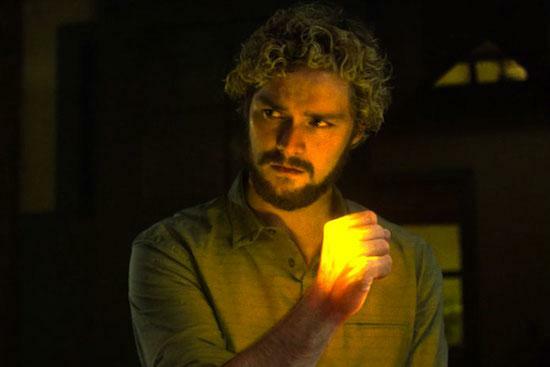 By far the weakest entry in the MCU, Iron Fist is the story of Danny Rand – the son of billionaires, and part-owner of Rand Industries, who is presumed dead by everyone after his plane crashes. Rescued by monks, Danny is raised up to become – the Iron Fist, sworn enemy of the hand. However, regrettably while the casting of Danny Rand is reasonable, and the plotting picks up across the series, the show does not recover from a slow and lethargic start. More emphasis on the mystical elements would have turned this from a good, to great entry. 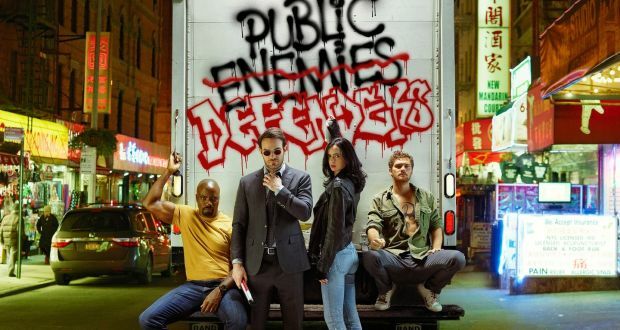 Worth watching if you are a Netflix subscriber, and if you want to see how one of The Defenders team players stands on his own – but keep in mind that this is a slow-burning show. The Incredible Hulk is more credible, than incredible in this film. Edward Norton plays a terrific Bruce Banner, although Mark Ruffalo is truly magnificent in the role as well – Norton’s Banner is a more aggressive, proactive take on the character. And while the film itself has its moments (Hulk taking on a group of American soldiers and a tank, Hulk fighting the Abomination, General Ross etc.) the film does also have moments where its pacing is less than optimal and the tone is out of sync with other films in the Marvel franchise. Definitely still worth a watch for any superhero fan – but this is more of a standalone film than anything else. Chris Hemsworth is the embodiment of an incredible Thor, and not just because he is an Australian actor. He fits the role perfectly with his size, voice and general demeanour. However, while Thor: The Dark World does preempt the idea of a multiverse element in the Marvel Cinematic Universe, the overall plot of the film hints at a greater premise and promise than it truly delivers. The worthy elements of this film are the expansion of the Norse god realms with the dark elves and the second infinity stone. Tom Hiddleston makes an excellent Loki again, but his characterisation is nowhere near the brilliance of The Avengers. This ranking is based upon the first two seasons which started out shakily. And with only rough links to the greater Marvel Universe. The promise of the first two seasons was excellent, with the introduction of Inhumans and tie-ins to each film release across the episodes. The first two seasons were not clear in their design, however. How were they clearly connected to the Marvel Cinematic Universe? Were they their own development of the hidden and off-screen world? Or were they something else instead? According to other reviewers, the next two seasons do gain their own feet, however, so it is likely the ranking of this show may change in this list. Thor was one of the more difficult films to ‘get right’ in the Marvel Cinematic Universe. However, the film succeeded in its odd way – delivering an experience that expanded the notion of the Marvel Universe as a place of, not-only Iron Man and Hulk, but a place in which Norse gods existed as aliens with highly advanced science. This twist on the established comic mythology was a clever way to introduce the Norse gods and Asgard, and while the film lacked a clear villain (despite some antagonistic action from Loki) the film holds its place here due to how it opened up the Marvel Cinematic Universe to bigger and better elements. Without Thor’s success there would be no Avengers or Doctor Strange for instance. Jessica Jones features one of the most sinister villains in any Marvel lineup with the introduction of the Purple Man. His ability to control anyone makes him invasive and creepy. Negatively, Jessica Jones herself is unlikeable (though the casting of Krysten Ritter as Jessica is spot on) and the pacing of the show drags in places, until the last few episodes. The themes of redemption uplift this anti-hero show, however, as does the introduction of Luke Cage, making it far better than its dark tone deserves. The Red Skull is one of the better villains in the Marvel Cinematic Universe. 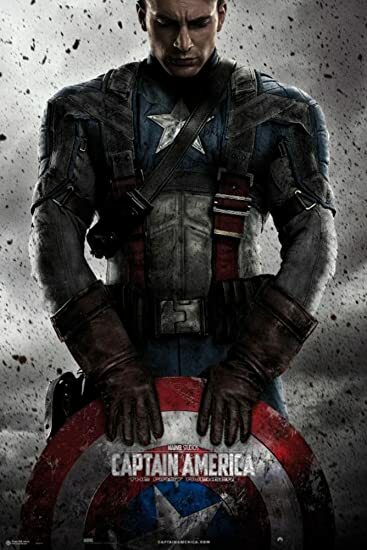 At the same time The First Avenger is a magnificent period piece, and Chris Evans owns the role of Captain America. Yet, compared to films such as the more recent Wonder Woman, Captain America:The First Avenger becomes less purposeful. It is more a matter of entertainment than focusing on greater messages – particular when compared to its sequels which feature some incredibly poignant themes. Some elements within the film exist solely for the purpose of setting up future films, and this is to the detriment of the film’s own standing within the Marvel Universe. This film is pure entertainment – only holding its place this low on the list because it deserved to be better. Following on from the groundbreaking Iron Man and starring Robert Downey Jr. as an iron man battling booze, fame, and the radiation of the Iron Man power core, this was a recipe that should have worked. Iron Man 2 became a less powerful film unfortunately because of one-too-many plot elements. Still, the introduction of Black Widow and Nick Fury, alongside a terrific performance by Sam Rockwell as Justin Hammer, lend themselves to a solid foundation leading towards Avengers and that is a great upside for any film. Iron Man 3 is a great improvement over Iron Man 2. The inclusion of the ‘Extremis’ storyline (from one of the best Iron Man story arcs) is excellent. Meanwhile the byplay between Robert Downey Jr. and his costars is first-rate. The film also provides an excellent villain – and the most divisive twists in the entire Marvel Universe. It is for this reason that Iron Man 3 falls down the list unfortunately, because while this twist adds a comedic element to the film it unfortunately means the film fails to live up to some of its promises. And a creative story at its best will always deliver on its promises! Avengers: Age of Ultron is one of the more divisive films in the Marvel Cinematic Universe. There are fans who believe that Ultron was an excellent villain, and that the introduction of Scarlet Witch, Quicksilver, Vision and the greater look into the Infinity Stones was brilliant. The treatment of Quicksilver frustrated many fans, however. They also see Ultron as a terribly whiny villain. Regardless, Age of Ultron is acceptably less incredible than its predecessor, yet still a large and excellent part of the Marvel Universe. It introduces the Hulkbuster armour. The film delivers incredible fight sequences with all the Avengers – including the new additions. Hawkeye’s role from the first film expands. Most importantly it is a visual feast for the eyes. For that reason it deserves a high place within the overall Marvel Cinematic Universe. The Defenders blends together the different themes, tones, and styles of each individual Netflix’ show. The result is a unique blend of beautiful storytelling and combined character interactions. However, the show suffers from ‘not a lot happening.’ Unfortunately, this brings down the show on an overall level. However, the show is well worth viewing regardless. It’s a violent story about an anti-hero. But it is compulsive, well-told story telling. Ultimately, the message of The Punisher is one of anti-violence and a warning about respecting veterans and those with PTSD. Sadly a message which is all too close to home and all too real for many viewers. For this reason The Punisher steals this spot as its own. Ant Man originally just missed out on a top ten finish. However this is more to do with the quality of the other Marvel films, than anything else. Like many other Marvel films, Ant Man fits into a sub genre within the superhero genre. It is a heist movie. And a brilliant one at that – with Paul Rudd charismatic in helming the film as the lead character. However, the film does little to add to the overall Marvel Universe, save from introducing the multiverse and Ant Man himself. Ant Man is comedy brilliance and wonderfully cast, regardless. Spiderman: Homecoming is a comedy which contains coming-of-age themes. It has its flaws, but is a strong enough stand-alone entry in and of itself. Tom Holland plays a perfect Peter Parker, struggling for self-expression in a world of adult heroes. Heroes who doubt his true abilities. Robert Downey Jr. shows up briefly in a mentoring role. And there are plenty of Spiderman and Avengers easter eggs to keep fans occupied. While Michael Keaton plays a terrific Vulture ‘birdman’ villain. Yet at its heart, Homecoming is a wonderfully down-to-earth adventure. One focused around a teenager looking for love, friendship and acceptance. All while struggling with the responsibilities that his powers bestow upon him. And that is the essence of who Spiderman is. Read our review of Spiderman Homecoming here!